Walt Disney World is often regarded as a place on Earth where everyone who visits is a child again. However, one activity offered is still often looked down upon by older visitors to the parks: character meet and greets. Believe me, there was a time where I thought this, too, and I'd just run by any characters out meeting guests on my way to my next FastPass, but one day, I spontaneously chose to get in line to meet Peter Pan at Magic Kingdom and I was immediately (pun intended) hooked! Whether you're traveling by yourself, with a group of adults, or with kids in tow, character meets can be a magical experience for everyone. Here are a few tips and tricks to make the most of your time with your new friends. 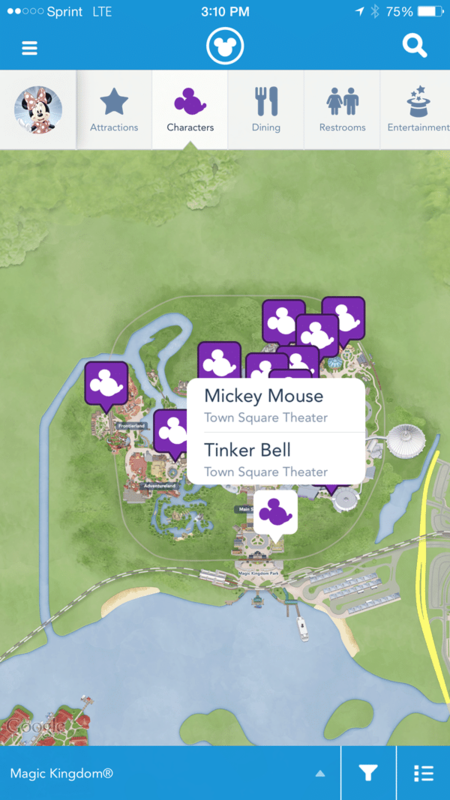 Use the My Disney Experience app to check times and locations for characters throughout all four parks. Meet times and locations will vary by day, and nearly every time can be found on the app. If you aren't sure of a certain time or location, check with Guest Relations at any of the parks and they will be able to tell you when and where they will be. Not all characters are listed on the app, so if there is a character you want to meet but are not sure of whether they'll be in the park that day, this is also a good questions for your friends in plaid at Guest Relations. Use FP+ for more popular character meets if they are offered. Anna and Elsa are still the most popular of all in the Magic Kingdom, but recently it's not uncommon to find a couple of FastPasses available to meet them 1 or 2 days before! Be sure to use the app to your advantage and check often to see if any FastPasses for meet and greets have opened up. Do your homework before meeting with the characters so you have things to talk with them about. If you're set on meeting Princess Aurora during your visit, watch Sleeping Beauty at home to re-familiarize yourself with her story! Being able to have a real conversation with characters about both themselves and yourself can go a long way with creating magical moments for your visit. Save the most popular meet and greets (if you aren't able to get FPs for them) for later in the day, before park close, or during an event such as the Festival of Fantasy Parade. It's not uncommon that the line to meet Anna and Elsa can be as low as 15 minutes when you get closer to the time Magic Kingdom closes. When applicable, bring props to share with your character friends for your photo opportunities. Ariel loves seeing stuffed versions of her friend Flounder, wear your own tiara if you have one, take your own umbrella to pose with Mary Poppins, or do what I did and take a sandwich in to Princess Fairytale Hall to meet Anna! (I still smile remembering her reaction to that). Don't be afraid to ask the characters to pose with you for your picture a certain way (provided it is appropriate and pertains to their story). Standing next to Peter Pan can be fun and all, but how would it be to have a picture of you together where you're acting like you're flying? Always show your appreciation for the character attendants that are hanging out with them during your visit. They are very fun people themselves and have one of the hardest roles in all of Walt Disney World! They deserve love too! 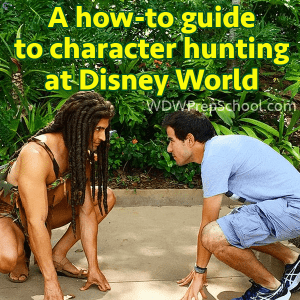 Now that you have a basic idea of how to make the best of your time at character meets, I hope you put some of these ideas to the test for your next visit and that you have just as much fun as I do! Happy Character Hunting! Wonderful post! WDW 8 day trip -1st visit,bday,honeymoon! Character reservations-breakfast Tusker’s,Chef Mickey’s, Crystal Palace, Ohana & dinner Cinderella RT – plan for many more meet n greets. Is it recommended to give any gifts to the characters? Any tips or recommendations? Thanx a lot! I think it would be so cool if you ask/interact with some character with the popular internet “say this to ___ character” and post what they actually say! It’ll be nice for people who cannot actually go to WDW and get the responses. Dustin’s pics are great. 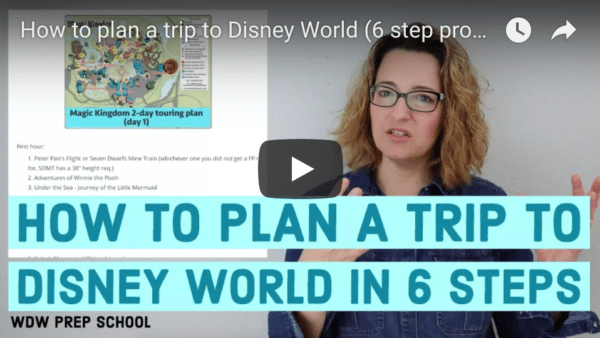 I have a newborn, and I think her first trip to WDW will be around age 3, so I expect characters to be a much bigger part of that trip then they have been in the past. I love these tips. Don’t think you, as an adult, are too old to collect autographs. We have bought post cards in the past, got the character pictured on it to sign the back, and then wrote messages “from that character” above the signature and mailed them to our nieces. RunDisney events are another great place for unique character meetings. You only have enough time to say, “hi,” and get a picture, but in 2014 I got me, Pluto, Bolt, and Doug (Up) all in the same pic in front of a big dog house. I have been following Dustin on Facebook from Shannon’s suggestion and it is the highlight of my day! While visiting WDW this past week, I enjoyed the characters so much more because I just decided to embrace my character love. Thanks, Dustin! FANTASTIC post! Having had the luck to meet a few (real life) celebs in the past, it didn’t occur to me to interact with the fictional characters with fictional banter–how’s King Triton doing, does Olaf like the Florida heat, etc. Newbie question: can I assume that the character attendants are called “blueberries” because they all wear blue shirts? What a great post. Been reading up a lot for our trip in October and there are a couple tips in here I hadn’t seen before. Didn’t know the CMs were called blueberries! Love it.